OMG, I can’t begin to tell you just how much I hate peeling potatoes. Being a Mom and Wife of a meat and potatoes family, this can be fatiguing and very frustrating at times after a hard day’s work. I was recently selected as a Cavendish from the Farm blogger where I tried out a variety of their frozen potato products. I have to say that my family was pleasantly surprised. The product’s pricing is fair because of the quality of product. Sure, you can find cheaper brands, but by doing a taste test one can easily realize that Cavendish on the Farm products are made with a higher quality tastier potato. Supper #1 – I cooked a Canadian beef pot roast and served it with Cavendish from the Farm Rustic Reds. I baked them with olive oil, roasted peppers, onions, and some crushed garlic. 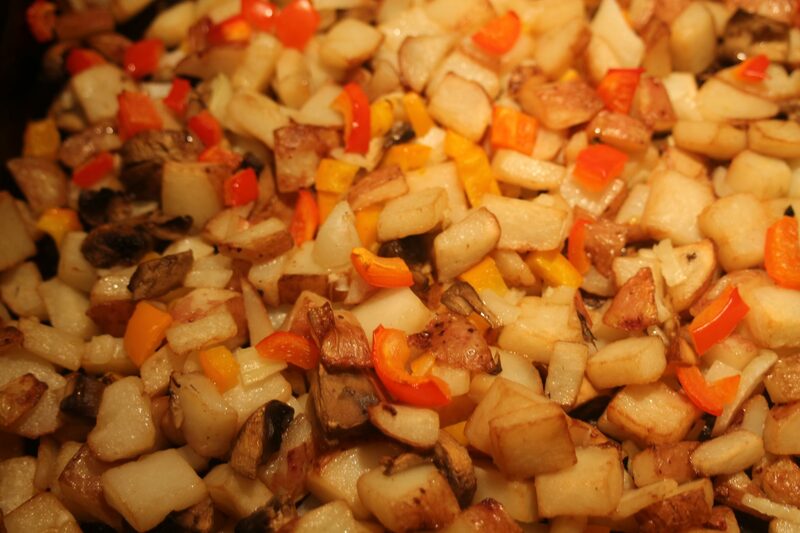 They were amazing and it was a great alternative to mashed or baked potatoes. 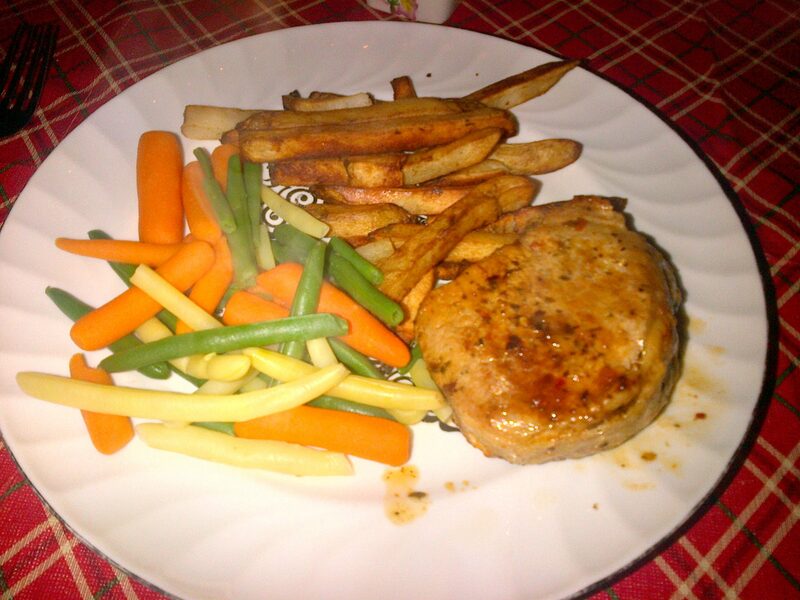 Supper #2 – I prepared pork chops in the oven, mixed veggies and Cavendish on the Farm Straight Cut potatoes. Again I baked them with olive oil. Now, I’m am not a french fry girl baked or deep fried, but these were simply delicious. Since participating in this campaign, I’ve purchased these products as well as the Cavendish from the Farm Wedges. I have enjoyed the simplicity of preparing supper with these products. They are very tasty and all of my family enjoys them. BUT what I love most about them is that my daughter is eager to help me with supper because it’s just that easy. Heaven forbid should she peel a potato! Cavendish From the Farm Wedges, Rustic Reds and Straight Cut potatoes are born and bred here the in Great White North – our very own Canada – in the rich, red soil of PEI! The hard-working and “eh”-plus individuals over at Cavendish Farms carefully select only the most delicious, premium potatoes. Cavendish potatoes are prepared with the skin on and are made with 100% canola oil and lightly seasoned with sea salt so that your whole family will love the delicious taste and home-style appearance. Oh and in case you forgot – they’re also low in saturated fat!